My sister, Elaine, gave me the clarinet as a gift. The clarinet was from marked with the name, “Noblet” and was from Paris. 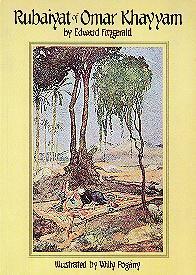 I bought Elaine a book, “The Rubáiyát of Omar Khayyám”. A clarinet and a poem. They live in my memory together.